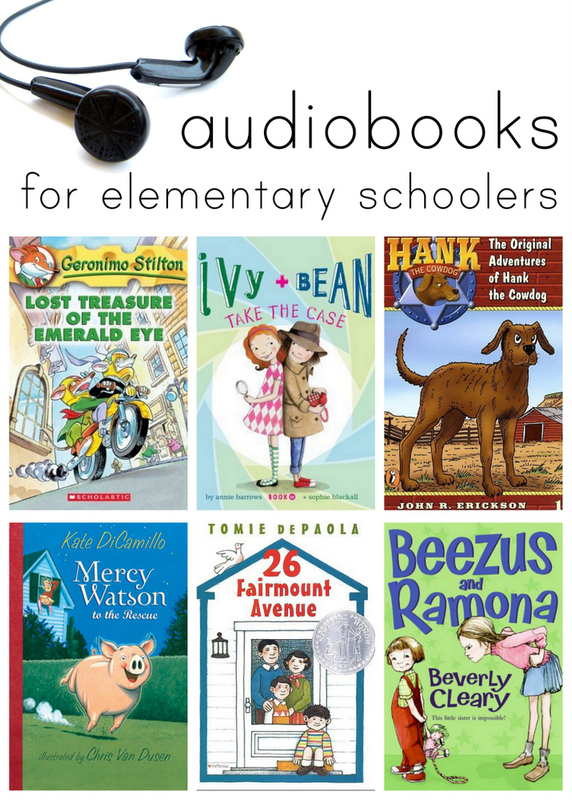 We are serious audiobook lovers around here, as you know. Ella is continuing to plow through audiobooks at an astonishing rate, which means I spend a lot of time requesting CDs from the library or making long wish lists on Overdrive. I was actually a little sad that she listened to this one, since I was hoping to read it with her, but we were in the middle of some other books together and she was dying to listen to this one, so I let her go ahead. And for several days, I kept hearing trumpeting coming from her room as she listened. This story about a trumpeter swan born without a voice and his resulting journey to learn to speak is one of my childhood favorites. Ella used to listen to the Mercy Watson stories on Tumblebooks when she was only 2 (although they were a bit long for her then) and now she often listens to them when she’s going to bed because she finds them so comforting. Plus, who doesn’t want a story of a pig who loves hot buttered toast? I might have had to disown Ella if she didn’t love these books. She blazed through every one of the Ramona books, recounting Ramona’s antics to me (she especially loved when Ramona invited everyone over for a birthday party without telling her mom). She had way less interest in the Henry Huggins books, sadly. I’ve meant to listen to/read this series for years and never got around to it, but Ella absolutely loved these stories from Tomie dePaola’s life as a little boy at home and school. I know I mentioned these before, but I couldn’t leave them off the list. We got a solid six months of quiet time listening out of this series and toward the end, Ella started re-listening to some of her favorites. These stories of a mouse who runs a newspaper and is always falling into the craziest adventures were hugely popular when I was a librarian and Ella’s loved the audio versions (which are narrated by Edward Herrmann). Happily, there are TONS of these. We listened to loads of this hilarious series when I was a kid. Ella was equally enamored with the wacky cow dog who is much dumber than he thinks he is. I definitely think Inkheart is too intense for Ella right now, but she loved this other book by Cornelia Funke about a little girl who dreams of being a knight and she told me after that it was her new favorite book. After the Boxcar Children had all been listened to, this was the next series that really captured Ella and she listened to as many of the stories of this unlikely friendship as the library could provide. I've tried to comment twice already and my computer is staging a revolt. So here's the gist… audio books- awesome. Putting them on a device- scary. Should I get over it? Yes! Love your posts, they always send me over to my library website to put things on hold!! Beezus and Ramona!!! Yes!!! Although my daughter is still only 18 months old, I can't wait to share Beverly Clearly with her (and Laura Ingalls Wilder and LM Montgomery…) I grew up in Brazil and I only started to read English books at around 6-7 when I began to attend an international school. I'm pretty sure the first books I ever checked out at my school's library were Beverly Clearly. Oh, what fond memories of Ramona Quimby! we've been listening to pretty much all the Ramona series in the car. Love! I loved Frindle in elementary school! We'll have to read that one with Kyle soon! Thanks to you both of my girls now listen to audiobooks during quiet time on separate iPads! We found lots of choices through our library's webpage but I'm always excited for new suggestions (especially since they seem to want the same stories over and over and over every single day!). By the way, I saw your funny comment on Instagram this morning and while I would love, love to have your tiny arms even at this stage post-baby, mine too seem to massively increase during pregnancy and I can't wait to see them start shrinking again soon! I swear, my entire upper body looks like I'm on steroids when I'm pregnant – neck, shoulders, arms, upper back – and it's weird! Thanks for the new ideas! My oldest 3 kids listen to audio books every night after their 2 younger siblings go to bed, but we were running out of new inspiration. They don't mind re-listening to old favorites, but nothing holds their interest like a new story! By the way, I read the Ramona books out loud to all 5 of my kids one summer (when they were ages 2-10) and they loved them. We waited a year to read the Henry books and they ended up loving those, too, but the older kids appreciated them more. Oh wow!! I remember Hank the Cowdog:) I'll have to try that for my son! I also remember reading Beverly Cleary as a kid and I love everything by Kate DiCamillo! I love this list! Thanks for posting! Hmm, we haven't listened to any public domain books, so I dont' know! I've seen My Father's Dragon on librivox, a public domain audiobook library. That's a great one for young kids.